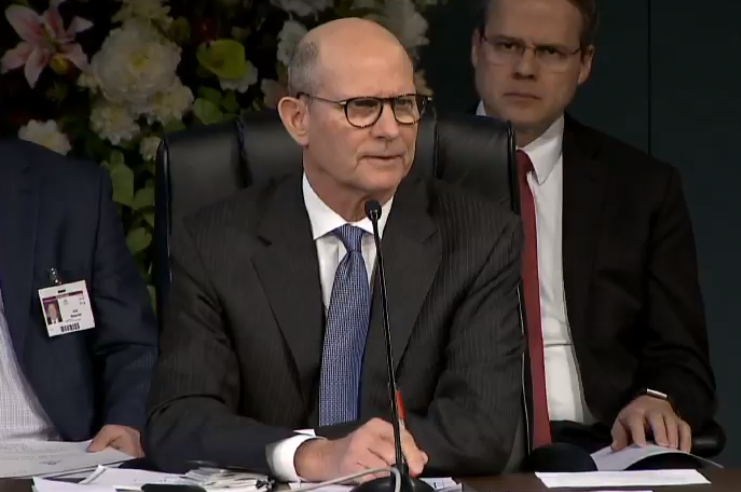 SILVER SPRING, MD --- Spring Meeting attendees have joined the rest of the Adventist World in congratulating General Conference President Ted Wilson on his surprisingly fashionable new glasses. Wilson pushed back on the torrent of praise from everyone from impressed Millennial GC staffers to jealous union presidents, insisting that his new glasses had absolutely nothing to do with fashion. "We are living close to the end of time and never has it been more important to use eyewear that maximises the opportunity to see new light," said Wilson in a statement during the second day of Spring Meeting. He added that contrary to reports that Georgio Armani had added a line of Adventist eyewear, he had purchased the new glasses in the Progressive Revelation section of his local ABC store. Special thanks to Ally for the story idea and picture.